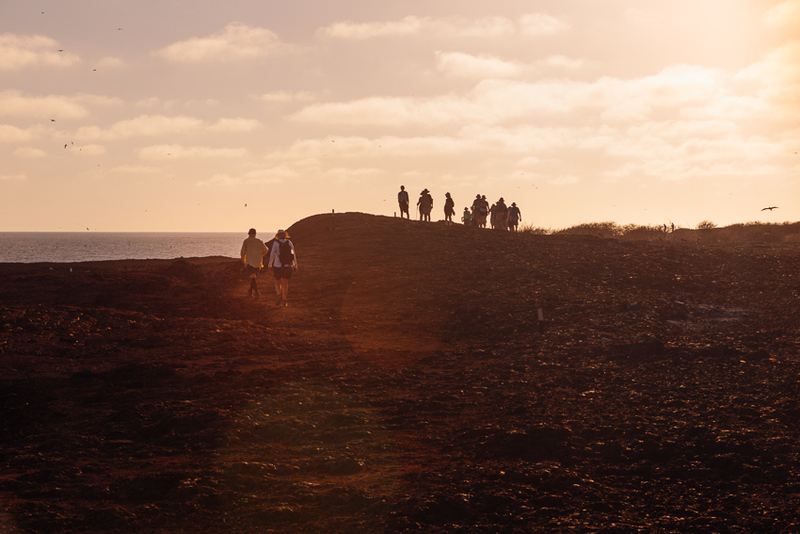 A trip to the Galapagos Islands, no matter how or when, is an incredible experience and I highly recommend you go if you have the chance. While the abundance and variety of wildlife is absolutely stunning, the truth is that the animals are just one of the many subjects you’ll have the opportunity to photograph. The harsh landscapes, the human element, vibrant blue waters, white sand beaches, underwater sea life, dramatic skies, flora, land reptiles and birds in flight are just some of the photo subjects at your fingertips. 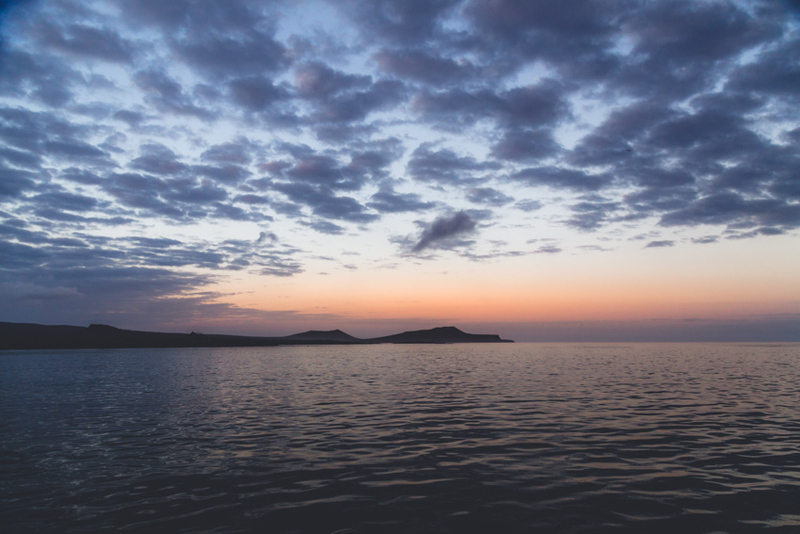 Galapagos sunsets though… they are tricky, and not for the reasons you might think. If you take landscape photography seriously you might sometimes use a photography or weather app on your phone to determine where and when the sun will set, or if there will be clouds to add some drama. Then you might get your tripod, camera and filters in place so you’re ready go with a nice composition that you’ve planned ahead of time. Frankly, I had to throw all of that out the window when cruising the Galapagos Islands. 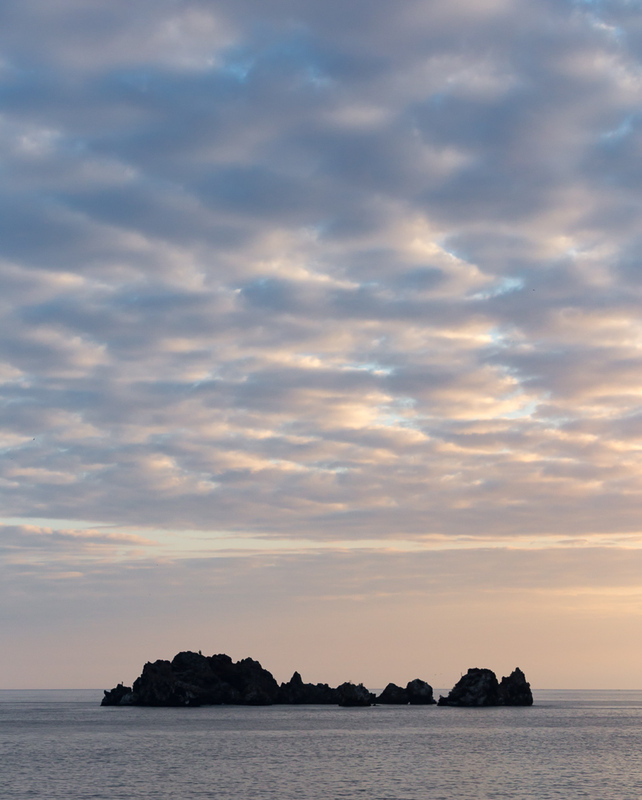 Landscape photography can be difficult near the equator because sunrise and sunsets happen very fast with only about a minute or two of nice light. 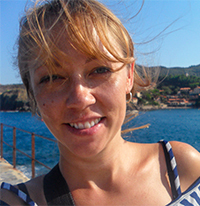 Further, you will likely find yourself part of a tour group that is living aboard a catamaran or small yacht for the duration of the trip. 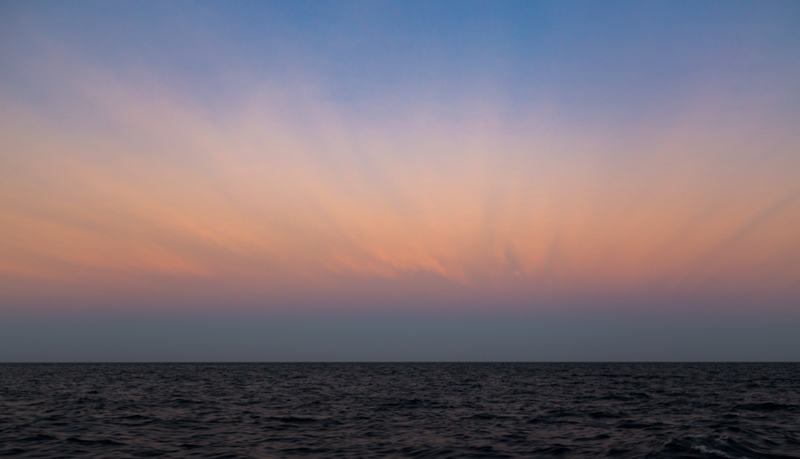 By the time the sun sets you will most likely already be on your boat (which is either sailing or anchored and swaying) and your options for interesting compositions are minimal. And those great apps you use at home are useless because there is zero cell phone service. These are some tricky circumstances! Over the course of my 11-day Galapagos cruise I didn’t have any opportunities to be on solid ground when photographing the sunset. 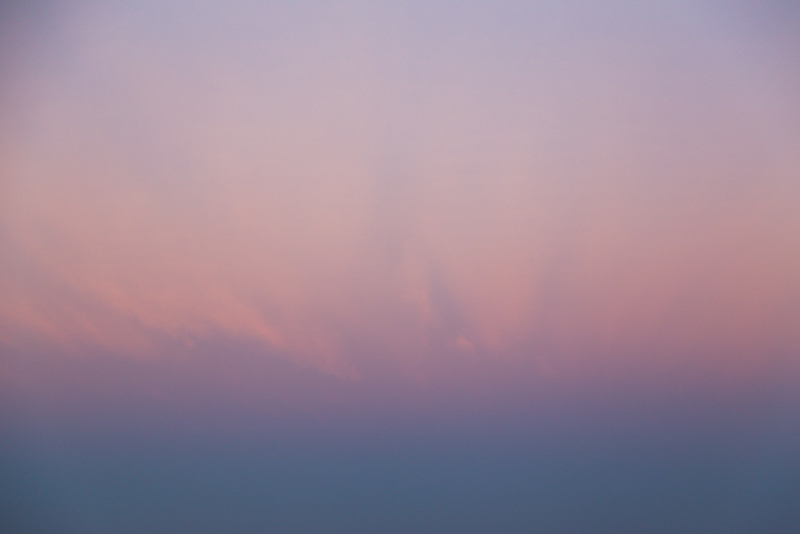 I did however manage to come away with a few colorful sunset images that I wanted to share as inspiration if you’re heading to the Galapagos. For example, one evening a sea lion was napping on the stern of our boat and she made for a great silhouetted subject. 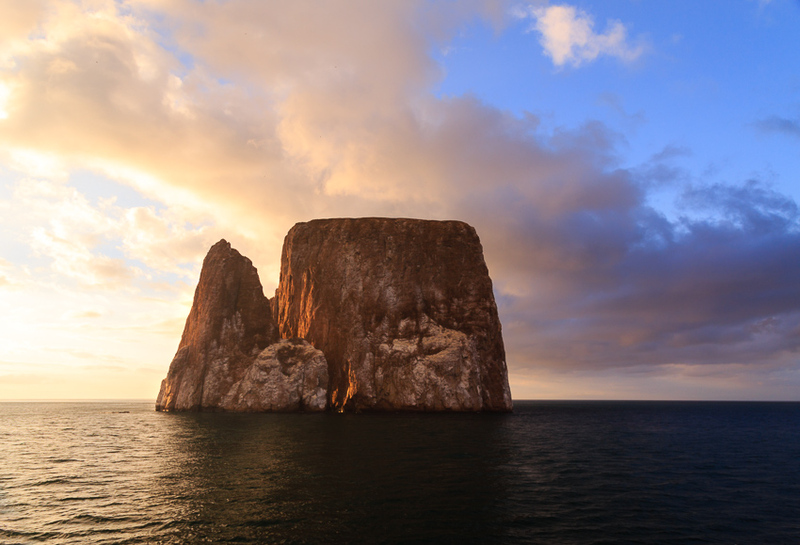 I got a kick out of making the most of the tricky Galapagos sunsets and I hope you enjoy the images below. 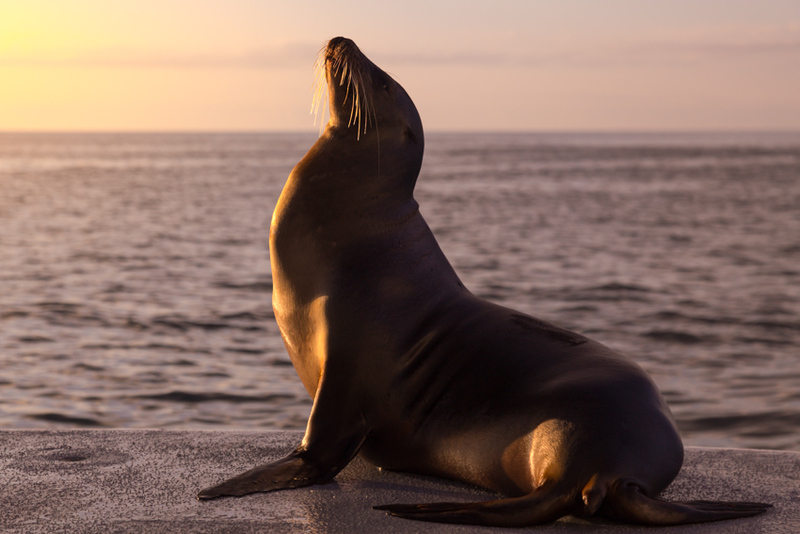 This sea lion enjoyed the sunset as much as we did on the stern of our catamaran. These cloud formations might have made for an interesting time lapse, but on a moving boat a single photo was my best option. What a great pattern, almost like an actual sun burst fading away. Colors in the same ‘sun burst’ sky had changed not five seconds later. 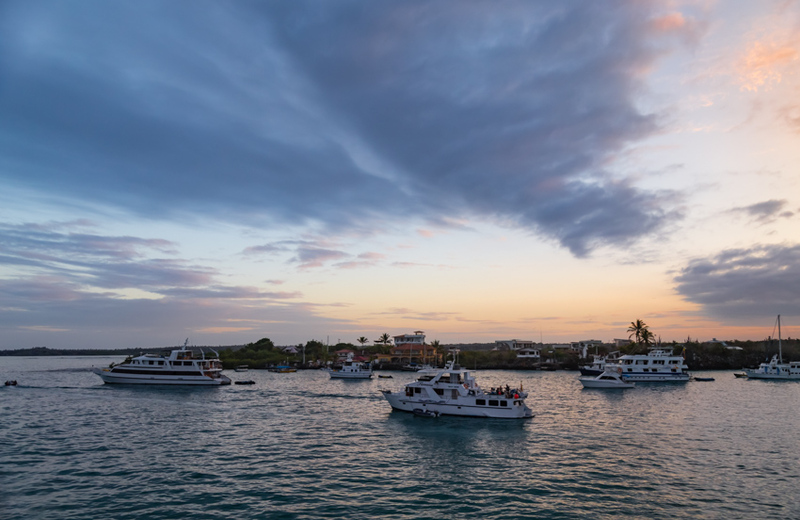 Here is the sunset as we board for the first time the EcoGalaxyII Catamaran at Puerto Ayora (Santa Cruz Island), the largest settlement in the Galapagos. Oh, the excitement!! 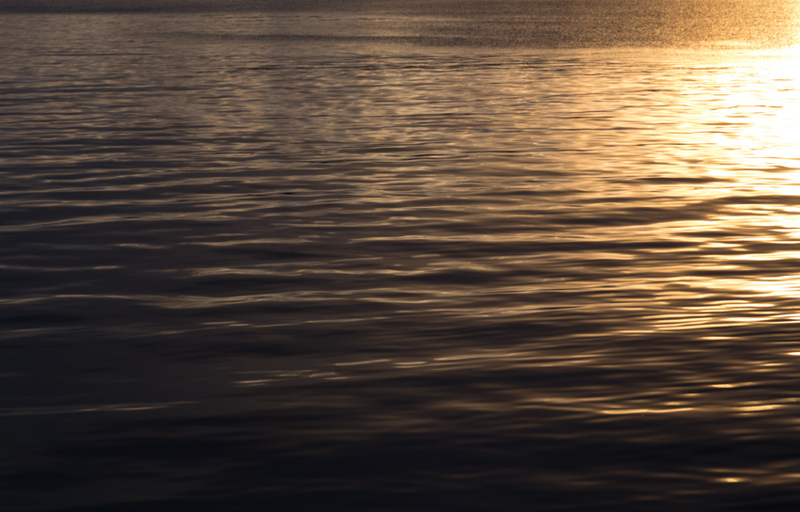 Anchored near Floreana Island and swaying in the gentle waters, the sun rapidly fell below the horizon. 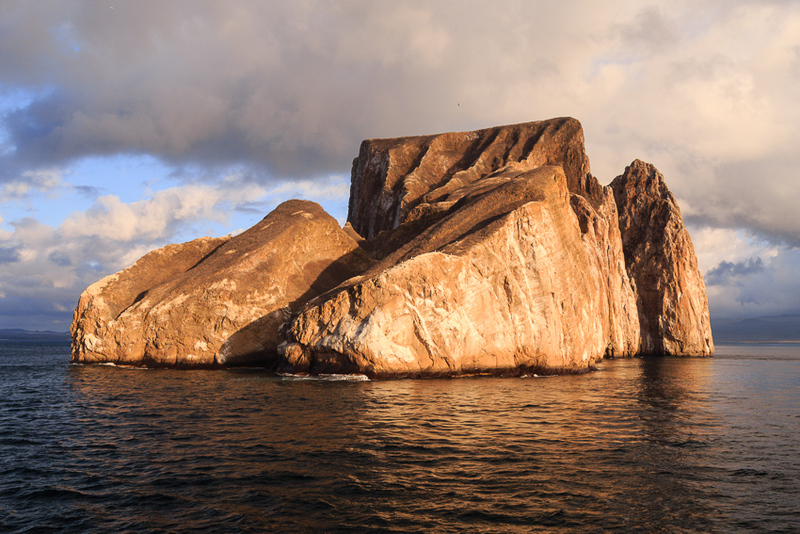 Though not quite sunset, Kicker Rock is incredibly majestic in the late afternoon. 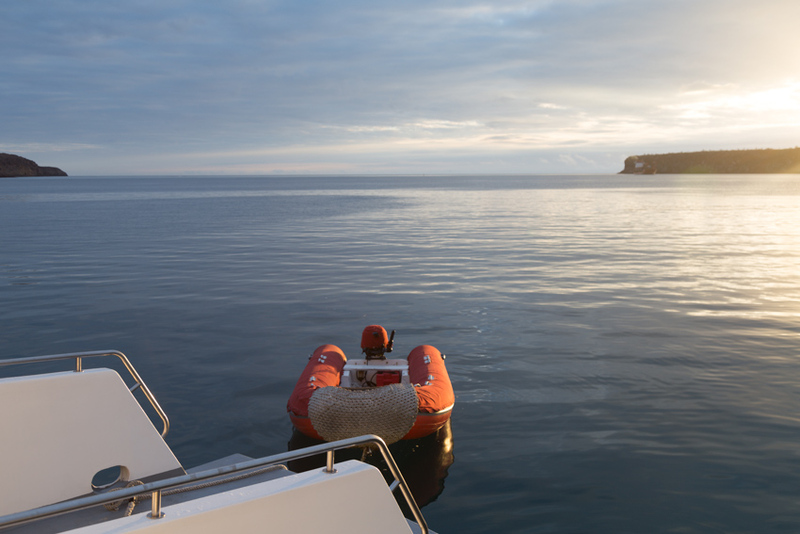 This rich sunset falls upon our last evening in the Galapagos as we tour Genovesa Island. 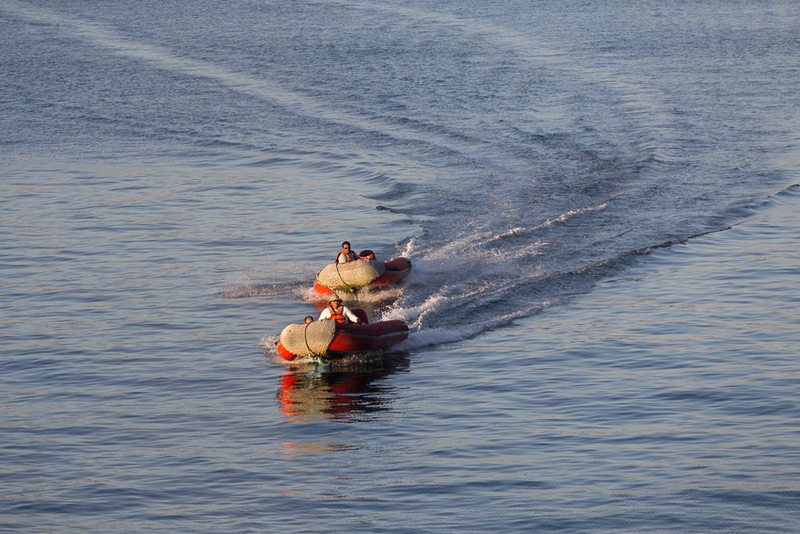 The mighty crew arrive to pick up our tour group from Genovesa Island at the end of the day. Gracias, mi amigos!